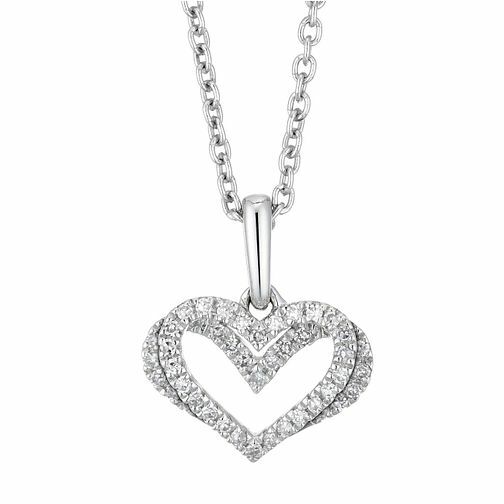 This elegant pendant is presented as part of the Love collection by Vera Wang. A fine sterling silver chain boasts a delightfully delicate duo of kindred hearts, dazzling in diamonds totalling 0.09ct. The heart reverse presents a solitaire sapphire set stone to keep close to your own heart. A sophisticated way to share how special a special someone is to you.